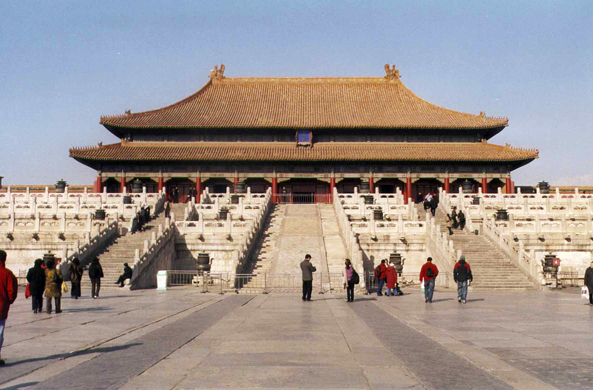 The Hall of Supreme Harmony, is the largest building of the Forbidden City. Dressed with red and gold, it occupies the centre of the External Court and contains the throne from where the Son of the Sky (in other words the Emperor) reigned formerly. It was useful for the rites of crowning of the emperor and the empress and the homage ceremonies of the court to its sovereign.